We've heard it all our lives, breakfast is the most important meal of the day! Start your day off right with breakfast at one of these great Chandler, Arizona breakfast restaurants. Whether you are looking for a buzzing a.m. eatery to meet up with some friends for a brunch date or a casual breakfast with the family, Chandler is home to some great breakfast spots. A must visit for breakfast and brunch connoisseurs – this a.m. eatery is a dynamic, brunch hot spot features a creative, craveable menu including favored dishes like the Cannoli donuts, Paella Hash, Coconut Almond Encrusted French Toast, Cinnamon Roll Pancakes and many more soon to be favorites. Diners will enjoy the large courtyard patio, a selfie station to commemorate their visit and a DJ booth for the weekends. For those 21+, the restaurant Hash Kitchen is well known for its extensive, build-your-own Bloody Mary bar and Cereal Cocktails. This neighborhood hangout features creative breakfasts made from scratch with farm-fresh ingredients. 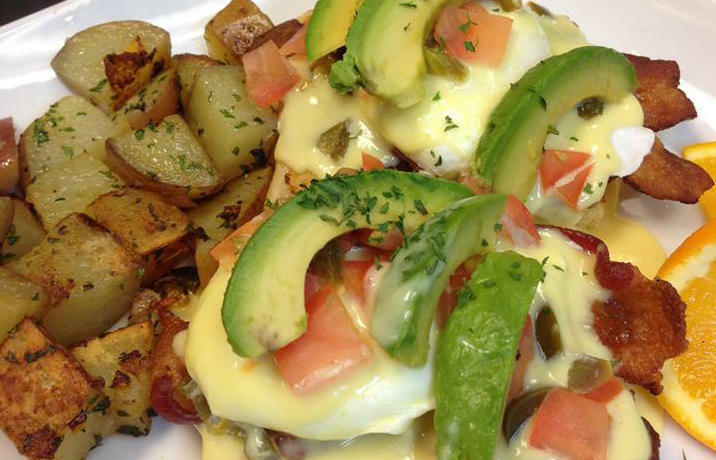 Dig into a green chili pork eggs benedict or a hash of ham, sausage, short rib meat, and potatoes. For a sweeter option, try the Hawaiian French toast with bananas and powder sugar. BLD has plenty of traditional options, too. 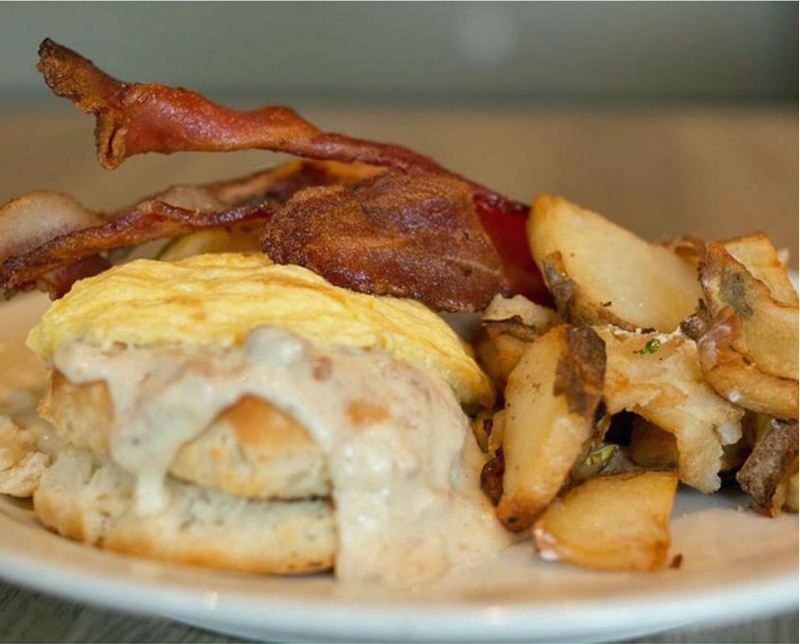 Order two eggs with bacon, pancakes, buttermilk fried chicken and waffles, chicken fried steak, or house made biscuits and sausage gravy. 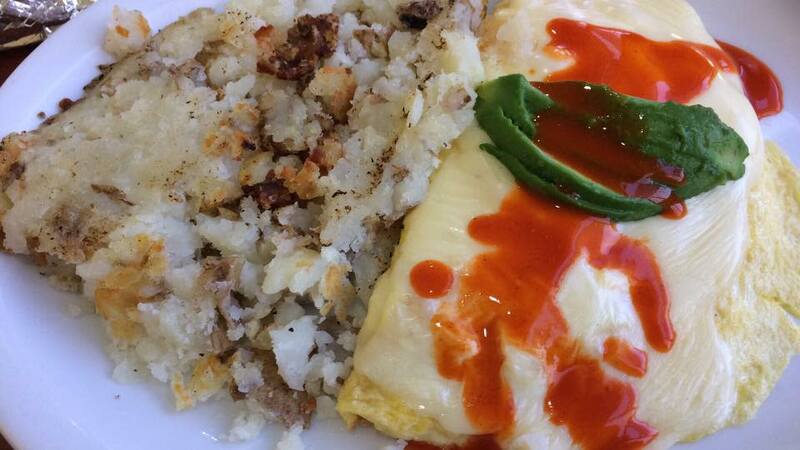 You also have the option to build-your-own omelet or breakfast burrito. Make your breakfast even better by taking advantage of the full bar. On the go? BLD has a drive-thru for coffee drinks, protein shakes, smoothies, and to-go foods. If you have the time, though, take advantage of Arizona’s sunshine to enjoy your meal on the large outdoor patio. BLD is open every day, all day, for breakfast, lunch, and dinner. Located just a few doors from the historic San Marcos Hotel (Crowne Plaza Phoenix – Chandler Golf Resort), the Downtown Chandler Café and Bakery is one of the most popular breakfast places in the city. 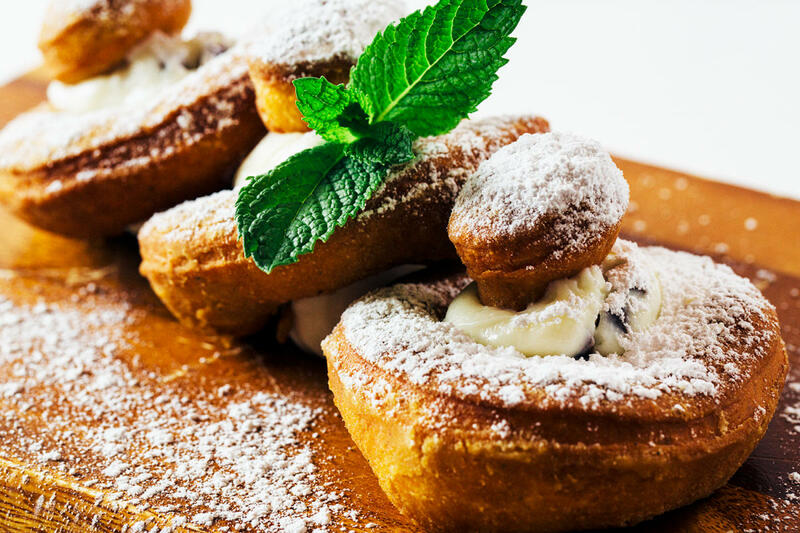 Dive into fresh-baked pastries, muffins, bagels, or giant cinnamon roll slathered with icing for breakfast. Or, tackle the breakfast burrito, waffle with fruit, pancakes, or omelet. Can’t decide? Try the tasty Kalifornian Benedict, poached eggs served on focaccia bread and topped with avocado, hollandaise sauce, and jalapenos. Everything is cooked to order, and portions are generous. Downtown Chandler Café and Bakery has plenty of indoor seating and a small patio outside. Breakfast is served all day Monday through Saturday, from 7 a.m. to 3 p.m., and Sunday, 7 a.m. to 1 p.m. Salads and sandwiches are also available throughout the day. Looking for something a little different for breakfast? Grab a table on the covered patio at the Hangar Café. You’ll be right next to Chandler Municipal Airport’s runway and have a great view of the planes taking off and landing. Inside, model planes dangle from the ceiling, and flight instructors swap stories at the small counter or near the oversized windows. Choose from typical breakfast items such as omelets, biscuits with homemade sausage gravy, eggs with corned beef hash, breakfast burritos, and pancakes. Or, sample a dish inspired by the owners’ Lebanese heritage such as the gyro, spinach, and feta cheese omelet. If you like hash browns, don’t miss them here. Locals say the Hangar Café has some of the best in Chandler. The Hangar Café is small, so don’t be surprised if there’s a wait. The restaurant is open daily, 7 a.m. to 2 p.m.
You don’t have to be a Hoosier from Indiana to appreciate the farm-style breakfasts at Hoosier Café, but it helps to be a sports fan—the walls are decorated with sports memorabilia from Indiana sports teams—and to come hungry. Omelets are made with three large eggs and are served with ranch potatoes or hash browns and your choice of toast or biscuits and gravy. 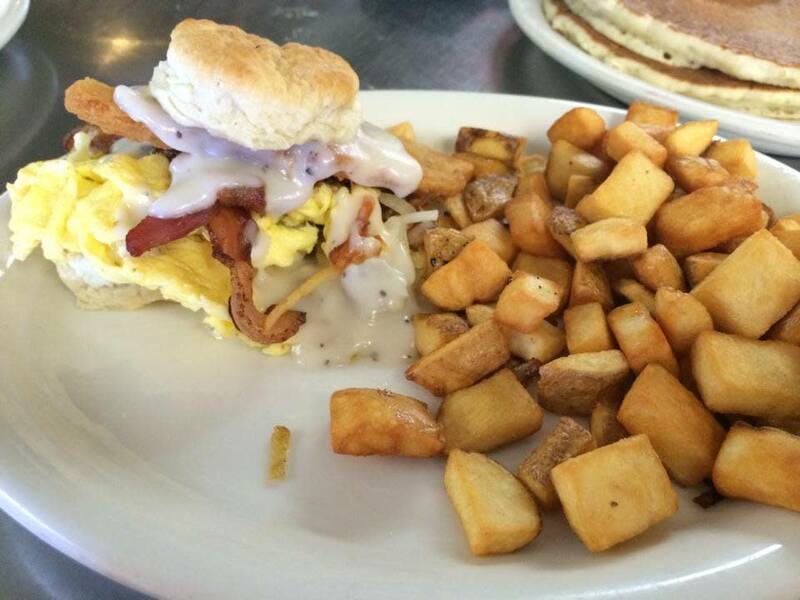 Breakfast platters come with two eggs, ranch potatoes or hash browns, and your choice of toast or biscuits and gravy. Add meat—ham steak, chicken fried steak, corned beef hash, bone-in pork chop, or 6 ounce sirloin steak—to make the meal even heartier. Other offerings, including breakfast burritos, eggs benedict, and skillets, come piled high on the plates as well. Breakfast is served daily at this Uptown Chandler restaurant from 6 a.m. to 2 p.m. 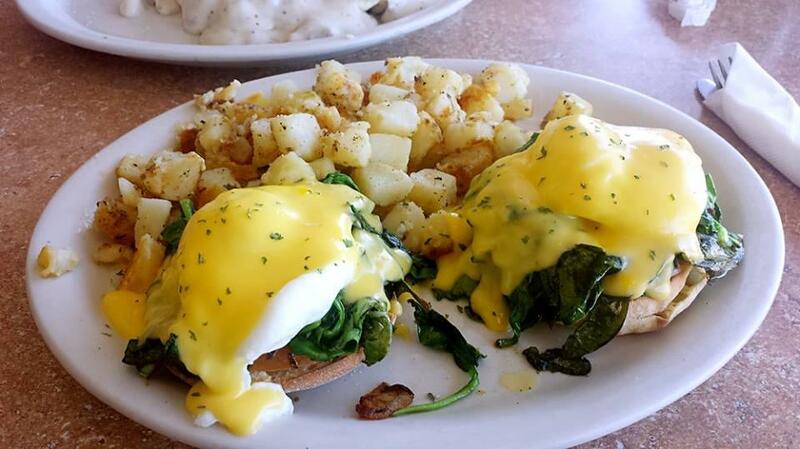 The Chandler location of Sunny’s Breakfast & Lunch is known for its huge portions, friendly staff, and great selection. Choose from 11 different omelets, seven types of pancakes, seven skillets, and seven eggs benedict. There’s also an extensive list of house favorites ranging from huevos rancheros to biscuits and gravy. Depending on what you order, the choices don’t end there. If your entrée comes with a bread, you’ll have the choice of toast, English muffin, biscuit or tortilla. (Substitute a pancake for 99 cents more.) Meat options include bacon, house made chorizo, corned beef hash, and turkey sausage. Breakfast is served Monday through Saturday, 6 a.m. to 3 pm, and Sunday, 7 a.m. to 3 p.m. As the name suggests, there are lunch items on the menu as well as breakfast dishes.